How to get rid of stink bugs? : Stink bugs can be a real eyesore and also constantly assault against your nostrils with an offensive smell. That is not all. They can also cause damage to your pretty pots in the garden and turn into an aggravating nuisance. Though chemical insecticides can be used to get rid of stink bugs, they will only wreak more havoc in your green patch. So, what do you do to deal with an infestation of stink bugs? You can use a number of natural means to get rid of these pesky insects for good. Prevention is better than cure – goes a popular adage! And this holds good with respect to stink bugs too. You can easily prevent stink bugs from entering your home by conducting a thorough inspecting of your home exteriors from time to time. Look out for cracks and holes in doors and windows. If you find any, seal them immediately, using m-seal or plaster of Paris. This will ensure that these pests don’t make their way into your home. 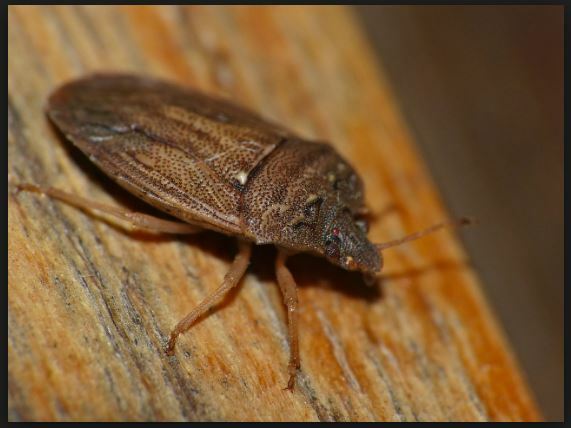 Also, check crawlspaces, vents, and attics for gaps through which an army of stink bugs can march into your home. If you have the time and budget, repair all torn screens and drapes in your home. Despite taking preventive steps to keep stink bugs at bay, if you see a family of them resting in your abode, try the below listed natural remedies to get rid of stink bugs for good. If you find stink bugs crawling on the walls of your home or marching up your curtains, simply use soap and water to get rid of the bugs. Take a bucket and fill half of it with water. Add 2-3 caps of dish wash or laundry soap to the water and mix well. Use a broom or a brush to wipe the bugs down from the curtains and walls. Place the bucket right under the place so that the bugs fall right into the bucket of soapy water. Once the bugs fall into the tub of soap water, they will drown to death. Catnip powder can come in handy if you are dealing with a bad infestation of stink bugs. This is an all-natural remedy and can be safely used in your house, yard and garden. You can also use it around kids and pets as it has no side effects whatsoever! Catnip powder is easily available in most grocery and departmental stores. Take some and simply sprinkle a handful around your home, yard or garden – or wherever there is a stink bug infestation. If you are a gardening enthusiast, you can also grow some catnip in your backyard. Crush a few catnip leaves and make a fine powder of it. Store it in a box and sprinkle as and when the stink bug population increases. Must read: How to get rid of bats? Stink bugs simply hate the strong odor of garlic. Apart from possessing a pungent odor, garlic is also acidic in nature, which helps in keeping stink bugs away. All you need is a powerful solution of garlic to fight stink bugs. To make the solution, take 16 ounces of water in a spray bottle and add about 4 teaspoons of garlic powder to it. Shake it well so that the water and powder blend well with one another. Spray the solution on doors, windows, curtains or in places from where stink bugs might enter the house. Neem oil has insect and pest repelling properties and has been used since time immemorial as a natural insecticide. If you are dealing with stink bugs that refuse to leave your home and garden, use neem in your war against them. Take ½ cup of water in a spray bottle and add about 2 tablespoons of neem oil to it. Shake the bottle well to mix the oil and the water. Spray the solution in areas where you find stink bugs including your garden. You can basically spray at any entry points from where these pests enter the house. Just like garlic spray, you can use peppermint spray to ward off nasty stink bugs from your garden, attic and every nook and corner of your home. While the fragrance of peppermint is appealing to humans, stink bugs cannot stand it. This is a remedy that will make your house smell good and get rid of stink bugs -two birds with a stone it is! Making the peppermint spray is not just inexpensive but also easy peasy. Take 16 ounces of water in a spray bottle and add about 10 drops of peppermint essential oil to it. Shake well so the contents blend with each other. Voila, your spray is ready. Spray the solution on windows, doorways and other entry points in the house and believe us when we say, stink bugs are a story of the past! Pyrethrum is a flowering plant, which belongs to the chrysanthemum family. This family of plants is highly toxic to many pests and insects including stink bugs. The seeds of the plants can be used to get rid of stink bugs with ease. If you have pyrethrum plant in your garden, you can make a stink bug repellant quite easily at home. Hang some pyrethrum flowers upside down in a dark place, until they dry up. Once they are completely dry, grind them into a fine powder. In 3 quarts water, add about 1/3rd ounce of this powder. Place this solution in a dark place and let it sit for at least 3 hours before spraying it around your home. Just before you use the spray, add 1 teaspoon of dish soap to it for better results. You will find it fascinating to see how the stink bugs will drop dead as soon as they come in contact with the sprayed solution. Must read: How to get rid of mice? Both lemon juice and vinegar are highly acidic in nature and work like a charm in getting rid of stink bugs. In 1 ounce of lemon juice, add about a ½ ounce of standard vinegar. Add this mixture to 8 ounces of water and mix the three ingredients well. Pour the solution into a spray bottle and spray it directly on the walls, doors, windows, cracks, and gaps from where the stink bugs might enter the house. Your house will soon be, stink bug free! Now, those were our pick of some of the most effective remedies that you can try to get rid of stink bugs. Try them today! We recommend using an insecticide with a low toxicity and with friendly co-formulants but with a wide spectrum of use.